Following the research and development of his EM Table, Florian Dussopt developed the concept for Rolph Sachs and Selfridges for the festival of imagination. 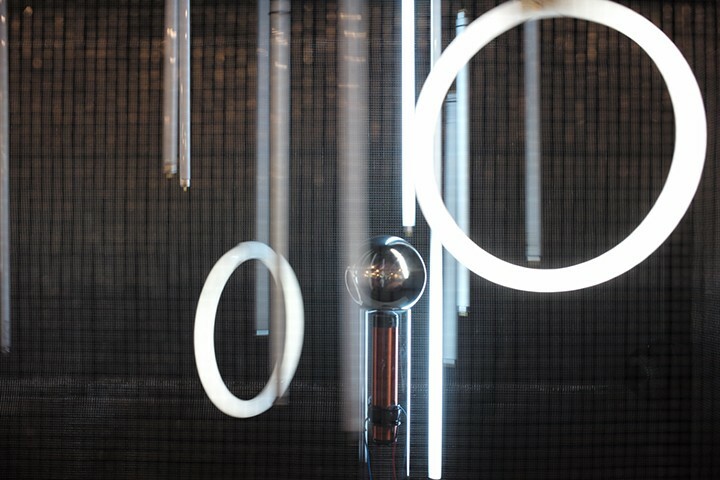 This window concept, which forms part of Selfridges’ ‘Festival of Imagination’, is inspired by the work of Nikola Tesla. 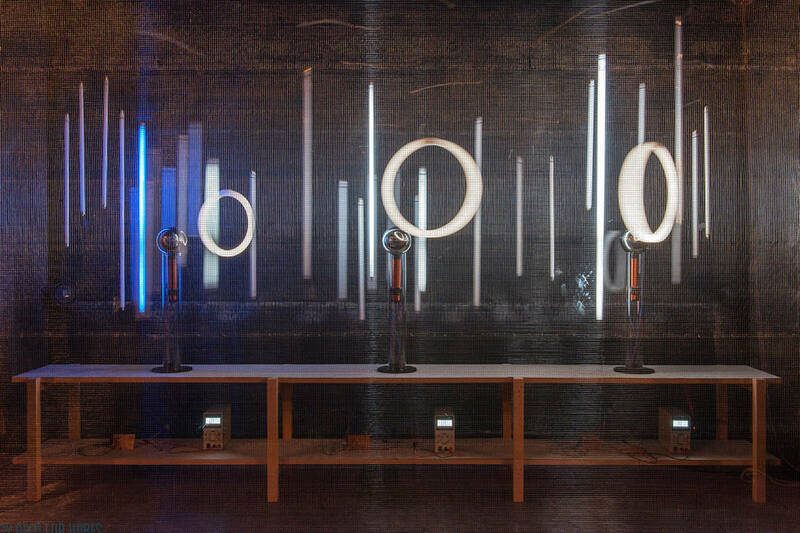 The installation consists of three towers which generate a local energy field. As the neon lights move close to the emitter, the neon gas becomes ‘excited’, creating a mesmerising and poetic light display. This window display forms part of a store-wide campaign at Selfridges, exploring the nature, power and positive impact of imagination and celebrating some of the most inspirational ‘imagineers’ of today.